We have a huge choice of late deal holidays from our most popular UK airports. From late all inclusive holiday deals and late family getaways to last minute UK breaks and holiday deals leaving in the next 14 days. If you can’t what you're looking for, we have hundreds of great deals from top travel operators. Try our simple holiday search at the top of the page to search for late deals in your favourite destination. Not sure where to go or need some help with your search? Check out our exclusive online holiday deals, fill out an enquiry form or give our expert travel team a call and they'll be happy to help you find that perfect late holiday deal. Fed up of waiting for the British Summer to kick in? Have you given up on the idea of booking this year’s holidays? Here at Co-operative Travel, we have a huge choice of cheap late deal holidays to a great range of destinations including Tenerife, Lanzarote, Benidorm, Majorca, Greece, Turkey, the Caribbean and many more! In Spain, low cost holidays to the hotspots of Costa Blanca, Costa Del Sol and Majorca are more popular than ever. Think endless sun-drenched beaches, warm turquoise waters and a year-round list of things to see and do, and you have the recipe for a perfect family holiday. Most late deal holidays to Spain tend to focus on popular resorts like Benidorm, Malaga and Torremolinos. However, if you cast your net a little wider, you’ll discover a wider selection of resorts in less familiar regions, like Costa Almeria, Costa de la Luz and Menorca – Majorca’s smaller, quieter sister. 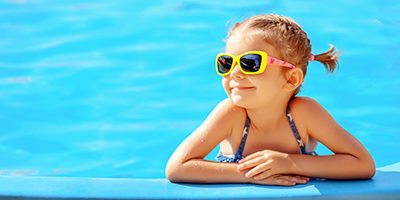 If you’re looking for late deal family holidays in 2019, it’s worth remembering that late deals don’t necessarily mean you have to jet off in the next few days! Possibly the best late deals in cheap, exotic holidays right now are in the Canary Islands. 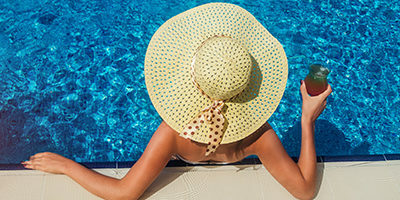 At Co-operative Travel, we have cheap late deals right now to Fuerteventura, Lanzarote, Tenerife and Gran Canaria, all of which offer year-round sunshine. Alternatively, take a look at our low cost holidays to Turkeyand Cyprus. All perfect for family holidays, at any time of year. Remember, you can be kept up-to-date with the latest cheap late deal holidays through our website – or call us now and chat to one of our friendly, knowledgeable Travel Advisors. Book a late deal all inclusive holiday and there's no need to worry about fluctuating exchange rates, everything is paid for! Search our great range of all inclusive late deals on our website, or if you'd prefer us to do the searching for you, just give our expert team a call and they will be more than happy to find you a great all inclusive deal. If you still haven’t booked this year’s holiday, there’s still plenty of time to book a cheap late deal somewhere a little further afield! Why not try somewhere different this year and visit the Caribbean, Mexico, USA, Cape Verde or even Goa. These great destinations all offer an alternative to the usual beach holiday destinations. Why not extend your summer and make the most of the great climate in a huge choice of resorts. If you're not sure where to go, why not give us a call and out team of travel experts will help you find a late holiday deal that suits you.